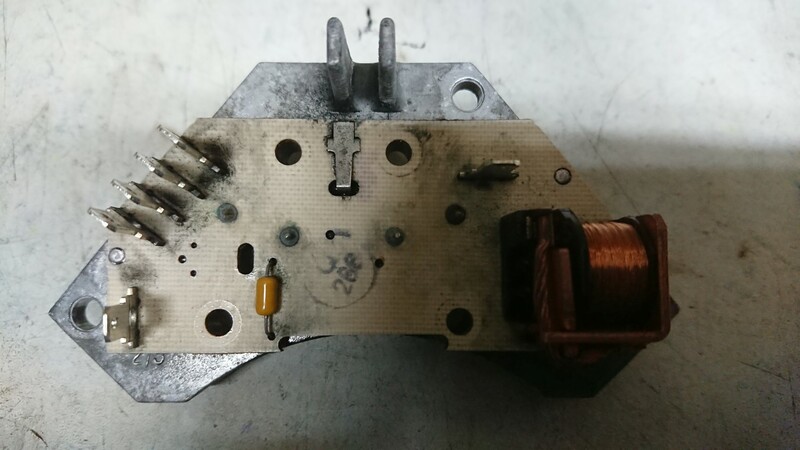 Range Rover P38 Blower Module Servicing and Repair – Part 2, The control module, dismantling and replacing switching transistors. So we now turn our attention to the module. So time for a little warning here. 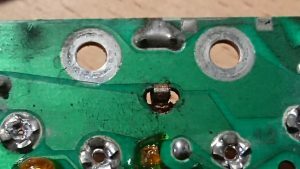 If you want to follow along or are planning on repairing your module be warned, some of what you are going to have to do cannot be reversed. The module is riveted together and you’ll need a good soldering iron. If you make any mistakes here you could kill the module. Its not a complex bit of kit but you could damage the HEVAC panel. This is the switching module we mentioned in part 1 and takes the place of the resistor pack used in manual systems. The two large metal cans are the transistors used to do the switching and they do fail. Rover used two to split the load over both but one can fail and result in the second failing instantly from overload. To get in and replace these you’ll need to drill the rivets out from the top (side with the cans). Carfull punch the remains of the rivets out as they hold the PCB on too. You will need to replace these later with bolts. Flip the board over and desolder the two legs for each transistor. Use a good iron and a solder sucker. Once you get the pins clean the transistors will drop from the heatsink. There is a small disk set in between the transistors that *may* drop out if you arent careful. clean everything off especially the contact for the small disk..
Isopropyl alcohol will shift most of the grot. Treat all the terminals on the board for the connections to the loom and fan to a good clean up with fine emery paper. Make sure that the bottom of the mounting holes for the transistors AND the matching board holes are clean and shiney as these carry the current for the fan motor. Clip the board back to the heatsink, then apply heatsink paste to the transistors sparingly and a small amount to the mounting area on the heatsink. They will only line up one way and you can guide the pins back through the board. Secure each transistor and the circuit board with M3.5 or M4 bolts and nuts. 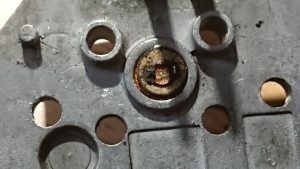 use shakeproof washers and nylocks to be sure. 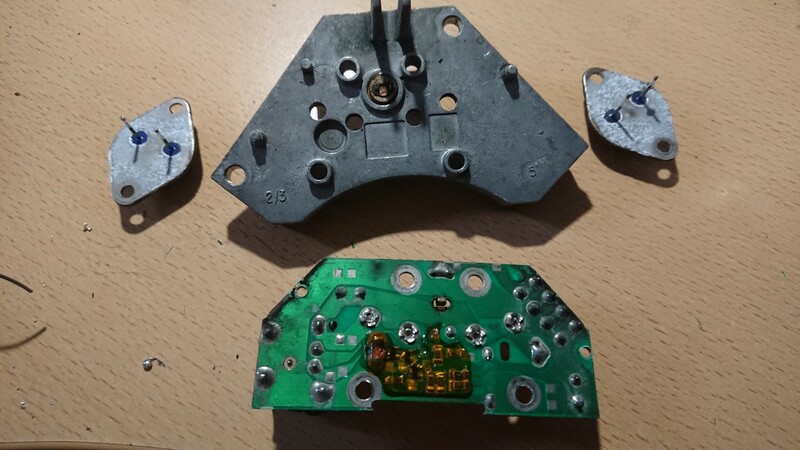 Using good quality solder, preferably NOT lead free, solder the four pins tow the board and then reassemble the whole module and re-install. With any luck you’ll have a working blower module. Previous PostRange Rover P38 Blower Module Servicing and Repair – Part 1, Theory, Teardown and Motor Check.Next PostRange Rover P38 Blower Module Servicing and Repair – Part 3, How it works, Failure points.